A dear loving friend of Janelle. Beloved stepfather of Grant and Kristen. Adored Pop of James and Oliver. Jamie, Jane, Terri and of 8 beautiful Great Nieces and Nephews. Relatives and friends are warmly invited to Ron’s celebration of life this FRIDAY, 5.1.2018 at Lake Macquarie Memorial Park, 405 Cessnock Road, Ryhope, commencing at 12 noon. 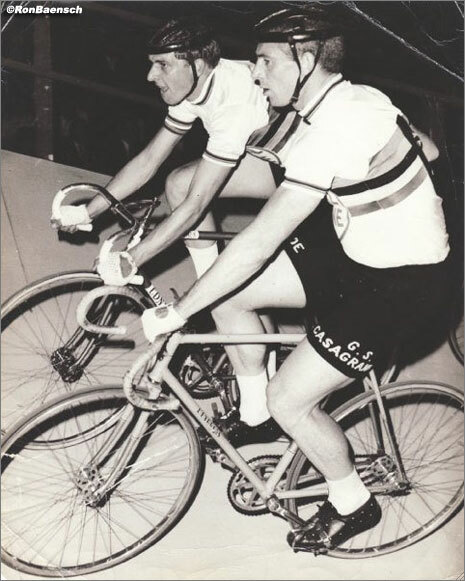 Ron was an Australian former racing Cyclist, specialising in track sprinting Events. He represented Australia at the 1960 Olympics and several World Championships in the 1960’s and in 1970.